The Cars are an American rock band that emerged from the new wave scene in the late 1970s. The Cars were at the forefront in merging 1970s guitar-oriented rock with the new synth-oriented pop that was then becoming popular and which would flourish in the early 1980s. 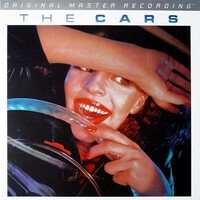 The Cars' debut album was called a "genuine rock masterpiece" by Allmusic.